ORPALIS PaperScan Professional is an advanced TWAIN and WIA scanning software which offers an easy way in making document acquisition. It is the versatile scanning software with OCR (Optical Character Recognition) engine, provides flatbed and document feeder support, supports various file formats, including PDF, TIFF, JPEG, PNG, and more. In addition, PaperScan also allows you to control any scanner including network scanners or camera to enhance and adjust the scanner’s functionalities. ORPALIS PaperScan provides advanced OCR features such as, annotations and color detection. 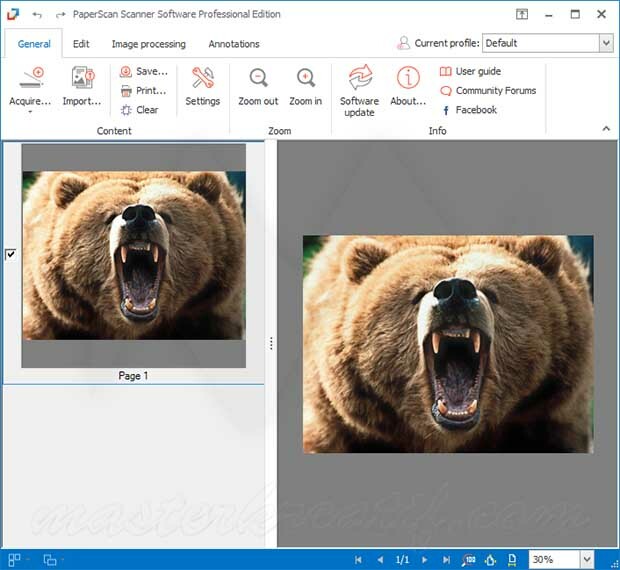 ORPALIS PaperScan Professional Edition is the most complete edition providing professional features needed in processing and document acquisition, allows you to import any image or PDF files, perform a wide range of image adjustments. Image conversion, effects, filters, etc. Save as PDF, PNG, JPG, WEBP, TIFF, etc. Duplex scanning support, and many more.